All coaching centres across the country will remain closed for a month from January 27, said Education Minister Dipu Moni. She said: "The decision was taken in a bid to prevent question paper leak during the Secondary School Certificate (SSC) examinations." The decision came today after a meeting on the upcoming SSC and equivalent examinations at her Secretariat office. She said: "The government has strengthened its efforts for checking question paper leakage during the examinations set to begin from February 2." Seeking cooperation from all to check question paper leakage, the minister urged the guardians and examinees not to hunt for collecting leaked question paper. 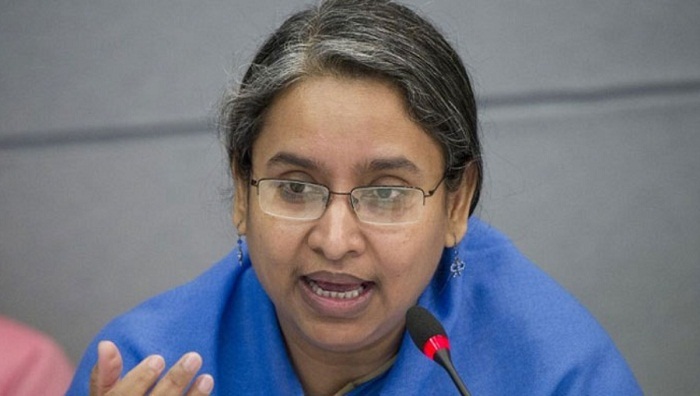 Dr Dipu said all departments concerned are sincerely working to root out all possible sources of question paper leakage as a vested quarter are involved with the malpractices.